The agony of a house fire is only transcended by the loss of a loved one. At least smoke alarms meant that this family didn’t have to suffer the latter. Until you have been in one, you have no idea how terrifying a house fire can be. 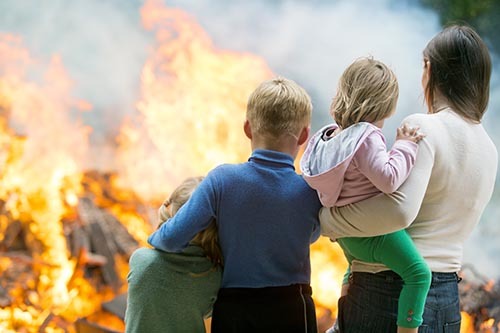 In fact, you may have as little as 15 seconds to escape from the time a fire takes hold, so you need to take precautions to protect yourself, your family and your home. The very first and most obvious thing to do is to make sure your smoke alarms work properly and for that matter, to make sure you have the best smoke alarms fitted and fitted properly. 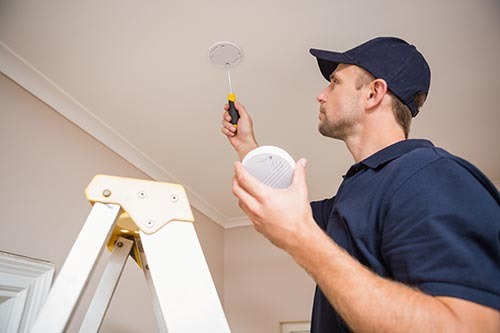 New and substantially renovated homes are now required to have interconnected smoke alarms in all bedrooms, in hallways where bedrooms are connected, and on each and every level of the residence. This applies to homes where building applications were lodged after 1 January 2017. Requirements for existing homes will be phased in over 10 years. 1 January 2027 in all other homes. To comply with the new laws, homeowners can install either hardwired 240V smoke alarms or non-removable 10-year battery smoke alarms. However, any existing hardwired 240V smoke alarm must be replaced with a hardwired 240V photoelectric smoke alarm. 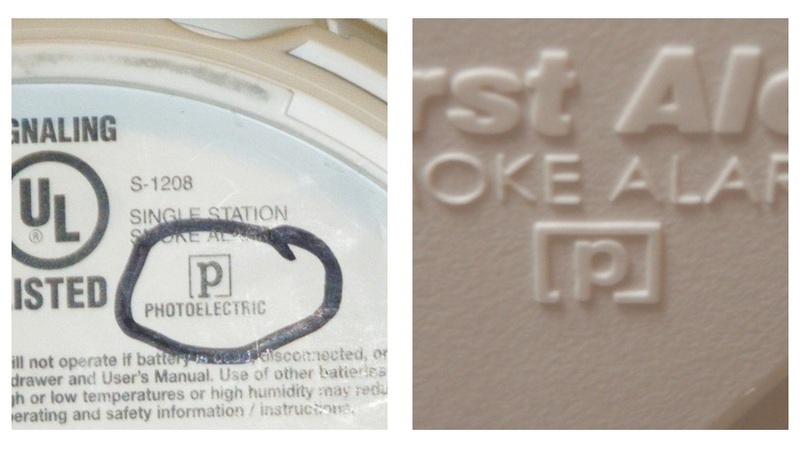 The installation of hardwired 240V smoke alarms must be performed by a licenced electrician. In existing homes, it is possible to have a combination of smoke alarms, which can be 240V or battery operated and interconnectivity which can be both wired and wireless. But . . . although current alarms less than 10 years old need only be replaced when they expire, home safety is so important that it shouldn’t really be a matter of “hey, I’m okay I have smoke alarms fitted”. We would suggest that you should make sure the existing alarms are effective, are placed in the right positions and are just as good as those required by law for brand-new buildings. The right smoke alarm in the right place, linked to all other smoke alarms in the home is a fast, easy and affordable solution to peace of mind at all times. Think about this. New homes are designed with fire safety as a particular requirement while many existing homes still have materials in them that are far more flammable than in today’s new builds. Where is the sense in risking your life and that of your loved ones by failing to take basic precautions? When a fire starts, smoke and fumes are the first danger to guard against, but also the first indicator you have a major problem. When you sleep, your sense of smell also sleeps but photoelectric smoke alarms will alert you early, so you can escape. Interconnected alarms alert you no matter where you are or where the fire starts. That’s an amazingly simple improvement in today’s alarm systems that are sure to save many more lives than previously possible. We can fit alarms of the right type in the right places, economically and quickly, working with whatever situation your house presents. Alarms can be mains powered or have 10 year batteries and wireless connection. Our task is to provide you with a silent guardian which is guaranteed to continually consider your safety. Take advantage of our expertise and keep yourself and your family safe at all times, especially when sleeping. Phone us now on 07 5554 2200 or email now for complete details.